These brightly-colored nonpareils enhance your cakes, cupcakes, and cookies with all the colors of the rainbow! Nonpareils are a classic favorite, dating way back to the late 18th century. Still popular today, these tiny round confections can turn any item in your bakery into a fun and festive, eye-catching treat! 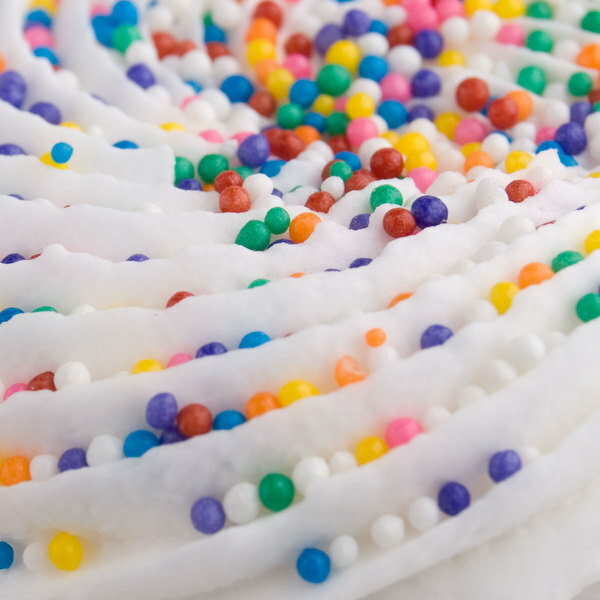 Like sprinkles, they add a pop of color and a unique texture to ice cream sundaes, cake batters, or other sweets. With a slightly more brittle texture than sprinkles, they can also be used to top signature chocolates. 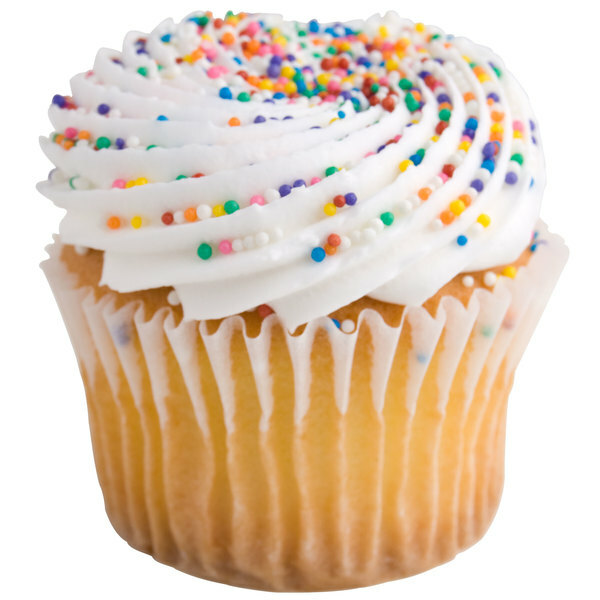 This versatile ingredient is great to have on hand in any bakery; and with 10 lb. of nonpareils, you'll be in good supply! Turn every occasion into a celebration with delicious desserts and confections covered in these rainbow nonpareils. Fun and decorative, these nonpareils enhance the overall presentation of any dessert, tempting your customers back for more. Their subtle chocolate flavor mixes well with icings, toppings, and other ingredients. Simply pour your nonpareils into a serving dish, and you're ready to start concocting ice cream sundaes and other dessert creations! Store in a cool, dry place, between 55 and 60 degrees Fahrenheit. Overall User Rating: Rainbow Non Pareils 10 lb. These sprinkles were great! 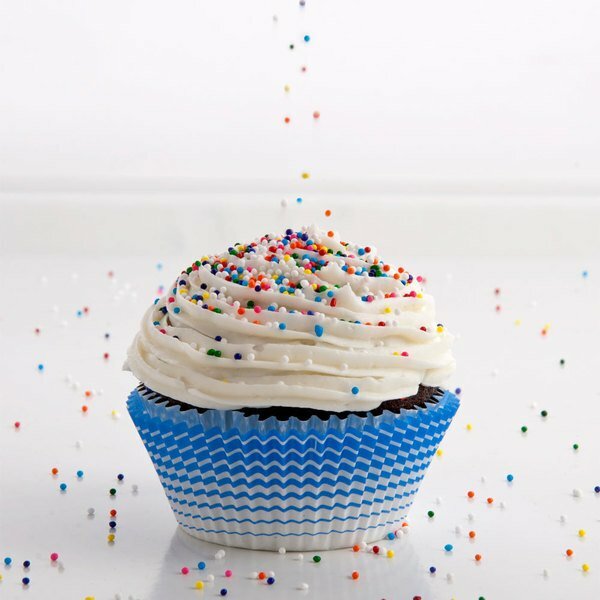 10 pounds is a ton of sprinkles, like literally a lifetime supply. The only think that bugged me is that they were packaged in a bag in a box as opposed to something that they can be stored better in. I would have appreciated a large plastic container with a lid. But I'm very happy with the bulk sprinkles. 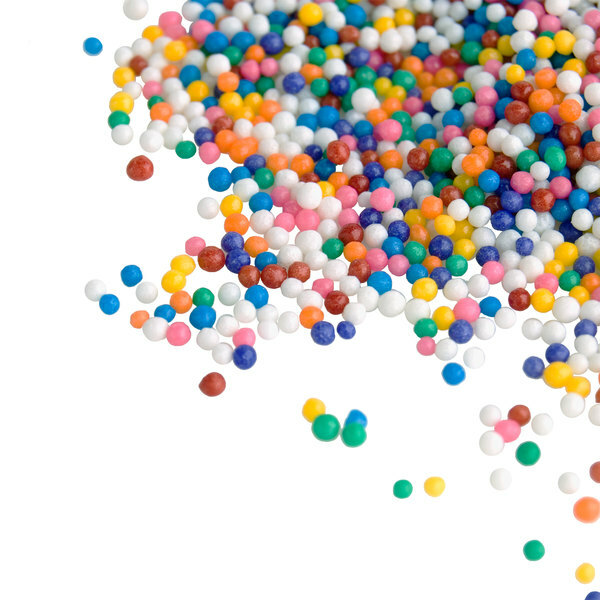 Rainbow nonpareils are like sprinkles but little tiny balls of colorful sprinkles. This is a huge bag and it really lasts a Long time but, it is great to have on top of desserts. These are very cheap for 10 lbs non pareils rainbow sprink. We saved on our shipping costs by auto-reordering which was a really neat feature for our businesses. Wow! When I received my rainbow sprinkles I was shocked at how much you get with 10 pounds. They could last a really long time!!!! This is a huge bag. It lasted me quite a while but I have just ordered another one. These sprinkles work great on our cookies. A huge assortment of rainbow non pareils that make decorating our sweets quick and easy. They are small in size and work great on dipped pretzels and apples. Super fun colored sprinkles that are excellent for making our kid favorite sprinkle sundae. The non pariels are a great quality and price is great. Great color and texture. These are a steal at this price. There is a reason that they are called hundreds and thousands. Someone dropped ONLY 1\2 cup of these and we are still finding them all over. A wonderful find for the price. I use these for my baking all the time, from covering a rainbow cake, to decorations on cupcakes and cookies. Love the great quality and price of these rainbow non pariels. They are awesome and a beautiful ingredient to include in our rainbow cream cheese spread. These are actually quite tasty. I did not think they would have much of a flavor when I ordered them but I was wrong. They are also cheap too! The rainbow non pareils are a must at our topping station. They are colorful and a kid's favorite topping. 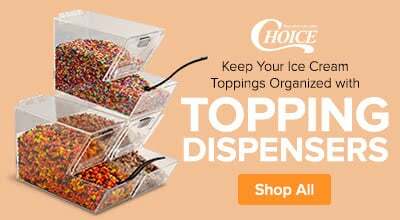 They are great for topping ice cream cones or sundaes. A wonderful quality rainbow nonpareil that is great for decorating dipped chocolate pretzels. The nonpareils are lovely and really add a fun touch to cakes and sundaes. These are very cheap and you get a lot too. We saved on our shipping costs by auto-reordering which was a really neat feature for our businesses. An awesome buy and price for the ten pounds of wonderful quality rainbow non pareils. The perfect topping for vanilla ice cream sundaes and kids love the bright colors. Kids love this Rainbow Candy coated treat on any type of ice cream or frappe items. Very colorful and when kids see it, they have to have it. 10lbs! Such a steal!! This box will last me for like ever. I use Jimmie sprinkles a lot... these Non Pareils I tend to use more for cake pops. They work perfect and are very cute.